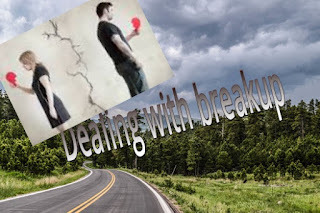 Break up is always tough and difficult to handle but often time, it is better to be resorted to. There are certain factors in life, that we know they are important in maintaining an healthy relationship. Ranging from finance, family, medical incompatibility or lifestyles of the partners. If all these are not in anyway a problem or threat to your relationship but yet all or any of the thought below is affecting your mind. I advised you to consider break up. 1) You always feel like the relationship is not the best you want: We all know what we want and we know what we actually deserved. If after several years or months of dating, you are yet to be convinced to accept him/her as the best for you. No matter how hard you tried, it is just difficult for you to believe the relationship is your best choice. You are always in search of any slight mistake or misunderstanding so that you can step out. Unfortunately, none of these is forthcoming. It keep bothering your mind and you can't stop asking yourself what are you still doing in that relationship. 2) You find it difficult to reciprocate the love from your partner: The love, cares and encitement your partner has shown you is so wonderful, but you are still finding it difficult to pay them back with a little kind gesture. You wished you can, but you are really sure your mind is not with them. Possibly, you are only still in the relationship out of pity or because of the material things he/she possess. As human being, this has a way of making you feel guilty and uncomfortable. 3) You are always in search of someone else: Everybody deserves to love and be loved back. you are always looking forward to meeting that very special person who truely deserve your real love because you felt that very partner of yours does not deserve it because you can't just love them back. If you are found in thought of all these problems, breaking up could be the best option, this is because these are fundamental problems of building an happy family. Accidentally, I found myself in a relationship in some years back, which I felt it was not the best me. Not even her beauty and level of education could change this my thought. I was not just feeling comfortable. Most especially where she invested significantly in the relationship. I started having the feeling of guilty considering everything. Without wasting much of her time, we had to depart and we did. It's a good thing to reciprocate those who show us love, but mind you not at the expense of your own choice. If after several months and attempt, it is still difficult for you to love them. Kindly do them a favour, by walking out of their lives for someone who cares to come. No doubt, he/she will surely against it, just because he still loves you. He/she may be left with no option than pleading, he may cry or get annoyed. Whatever the case may be, get the seated and explain this to them. Explain to them, you can't continue to pretend all is well. That remaining in that relationship will not do any good to both of you and it will only deprive the both Sides of getting another better relationship. You also need to make it clear, that you just want this break up but you still want them to be a happy person. You are only doing this to give them room to experience real love from someone who really love them. This will go a long way in aiding a mutual understanding about the necessity of the break up without a fight. If you are able to do this, you both will surely become best of friends and you will realize that you never hate each-other. As a matter of fact, you still care for each-other and will be encited seeing that your Ex in a very loving peaceful relationship with someone else. Sharing is caring... Kindly share this to others please. I quite agree with you. Just that many people are too afraid to accept the truth or to face reality..
Yea Gloria...it is difficult to decide whether to remain in a complicated relationship or walk away. The worst of their assumption is that time will tell not knowing that it could be too late.